You've Been Booed! This is such a great idea for some neighborhood fun for Halloween. I was delighted a couple of days ago when I stepped out of our front door to see a box filled with Halloween treats. I know the idea has been around for a while, but I wanted to share my take on it with you. . . . Create a not so spooky Halloween vignette using copper decor. Spray paint assorted pieces to match any look quickly and easily! 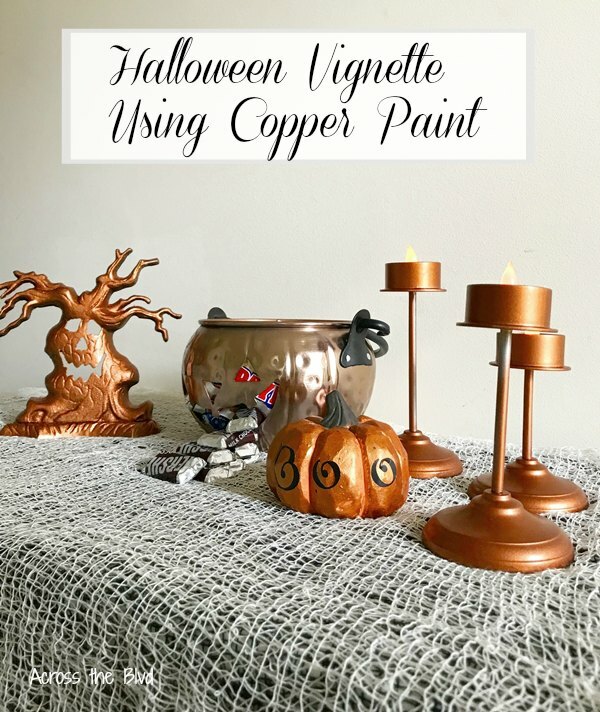 Using copper items I already had and spray painting other items to match had the vignette coming together quickly. . . .
Planning a Halloween Party? 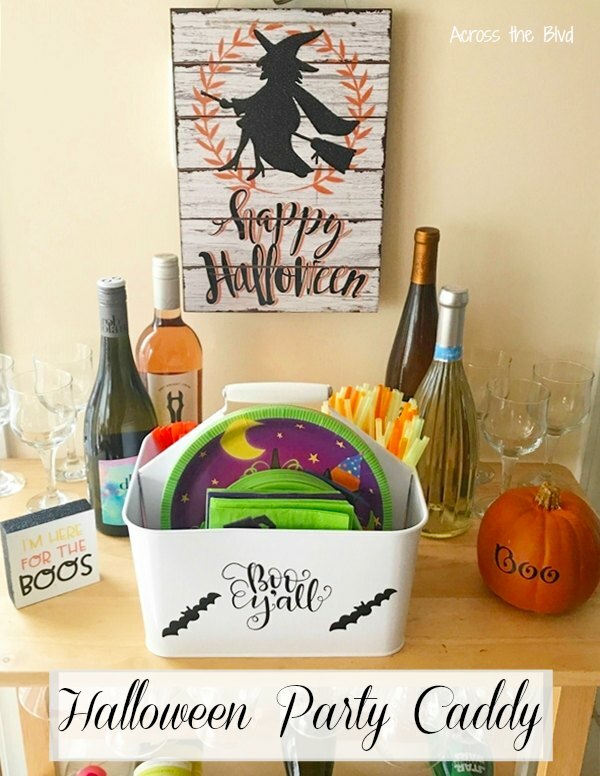 This Halloween Party Caddy From a Thrift Store Find is a great way to keep things neat and organized for your guests. 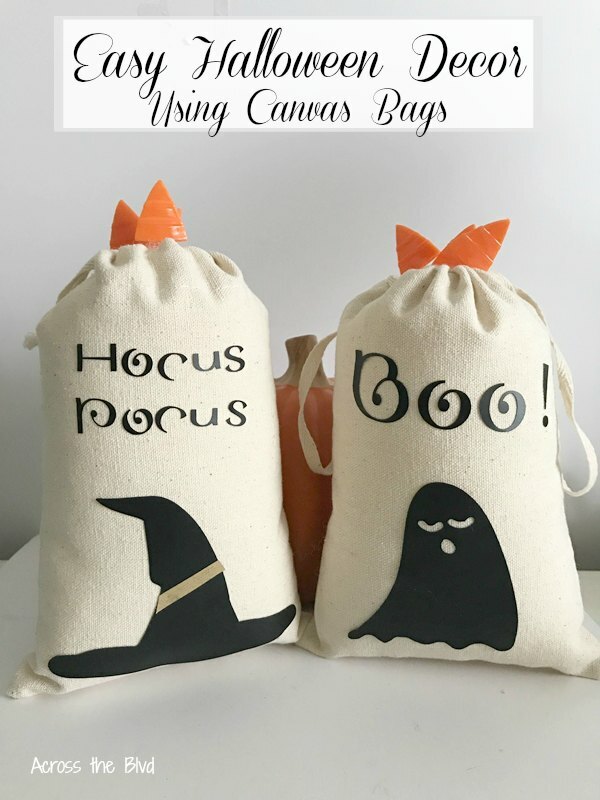 Add vinyl decals to dress up the plain caddy and fill it with items for your party. . . .
Make this Easy Halloween Decor Using Canvas Bags to add a little fun to your fall decor. I like to keep our Halloween Decor on the not so spooky side. I'll take cute ghosts, goblins, and silly witches over the creepy and gore of the day. 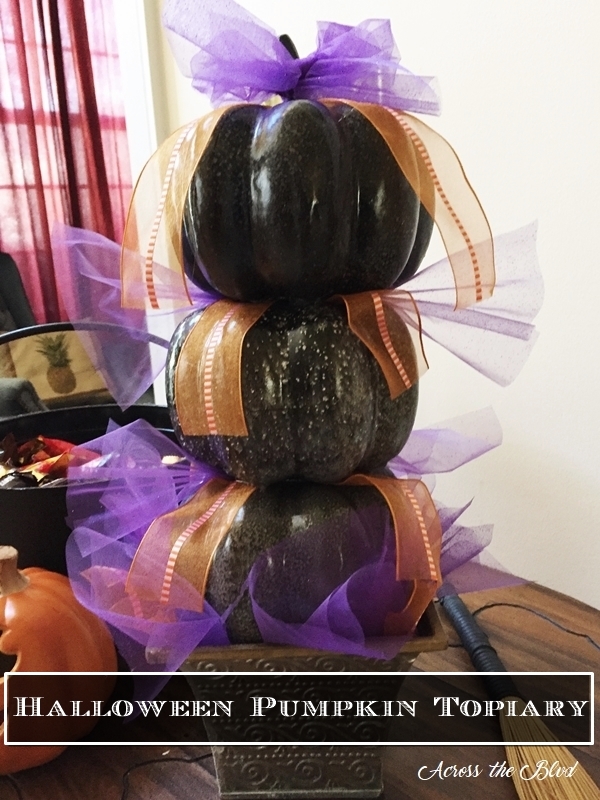 I always add a few simple touches for Halloween to our fall . 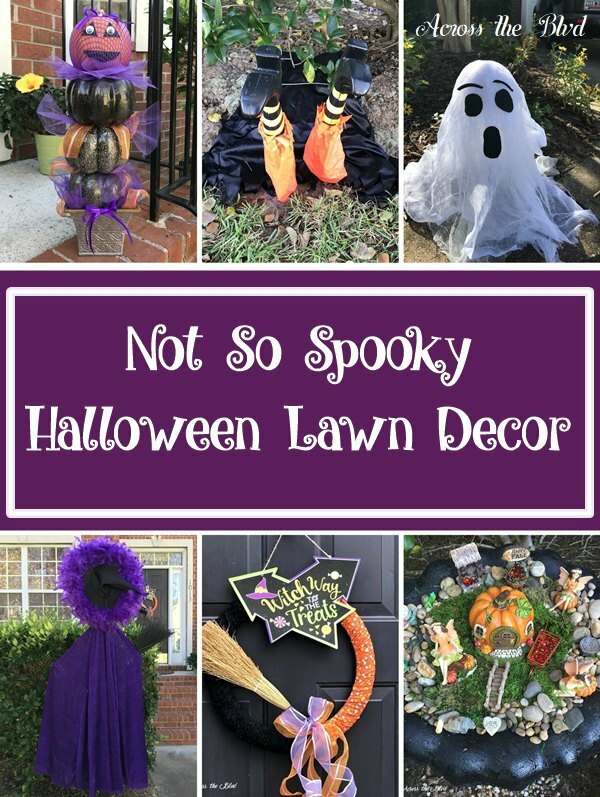 . .
Do you like not so spooky Halloween Lawn Decor? This year, I decided to do a little more outdoor Halloween decor than I've been doing in recent years. Years ago, we would decorate our lawn with lots of spooky, scary skeletons, ghosts, witches, and gravestones. Gloria and I would dress as . . . I'm creating lots of quick and easy crafts this season. 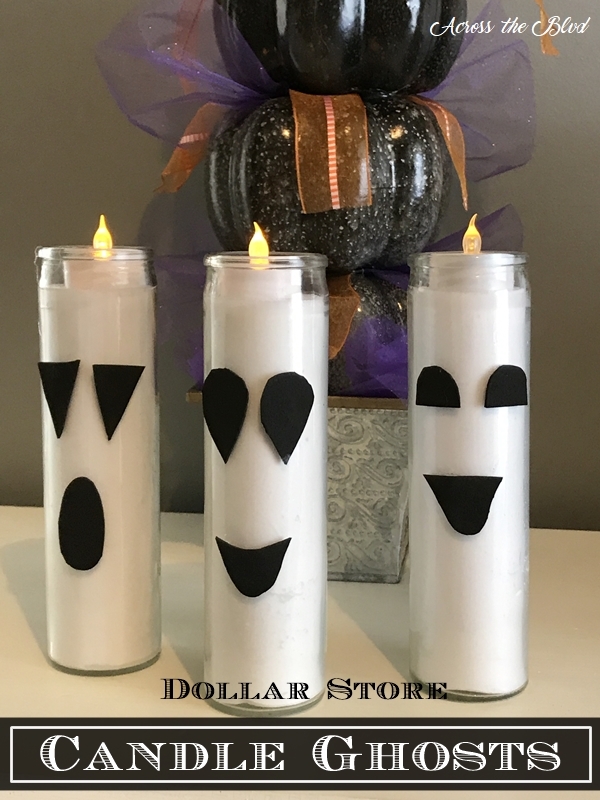 These cute Dollar Store Candle Ghosts are both inexpensive and super easy to make. I'm looking forward to using them at our Halloween party this year. I prefer my Halloween decor to be fun rather than gory and these will add a touch of whimsy . . . 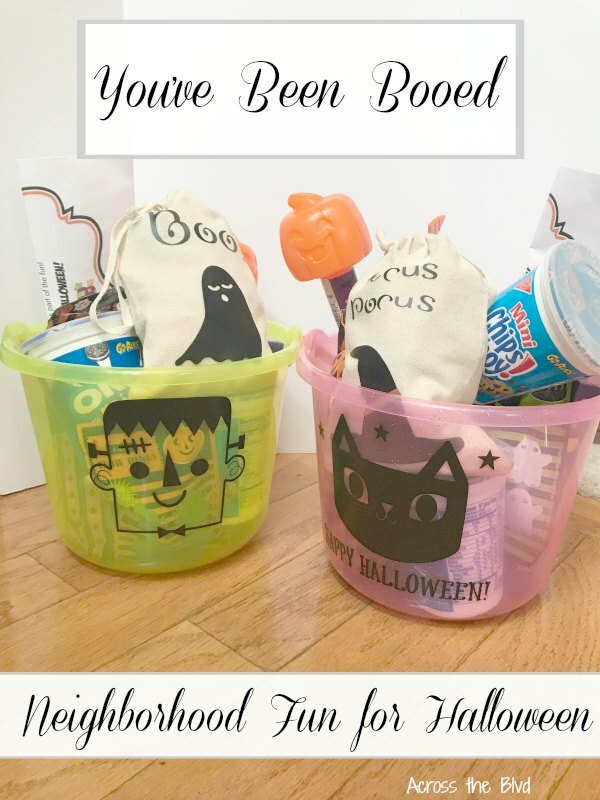 Need some last minute, quick and easy Halloween Decor? 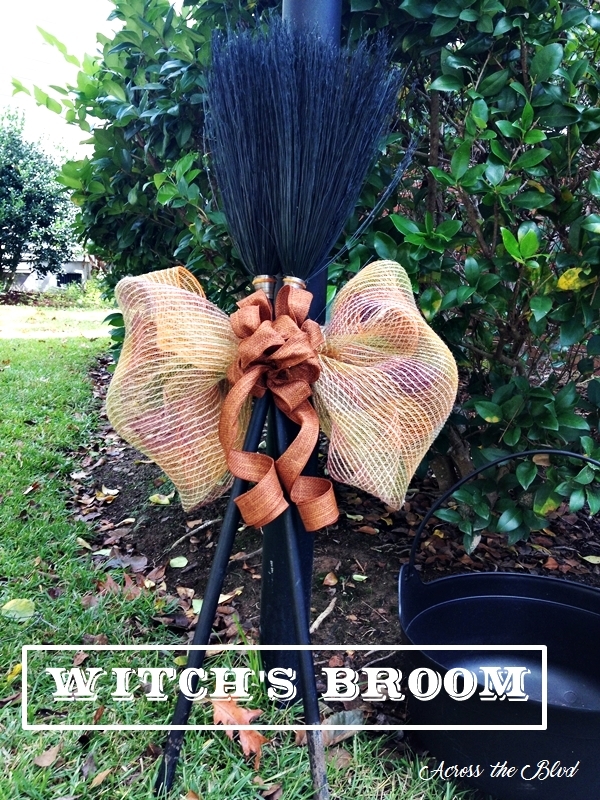 This Witch's Broom is an easy way to add a touch of Halloween to your lawn or porch. It can be made in just a few minutes with only a few items. . . . Happy Halloween! I don't do a lot of indoor decorating for Halloween until a few days before the holiday. Most of my Halloween decor is outdoors. I've never liked the gory, bloody decor that seems to be popular with lots of people! I prefer whimsical and fun with a little bit of spooky or eerie! . . . I wanted to added a little Halloween decor to my lawn this year. 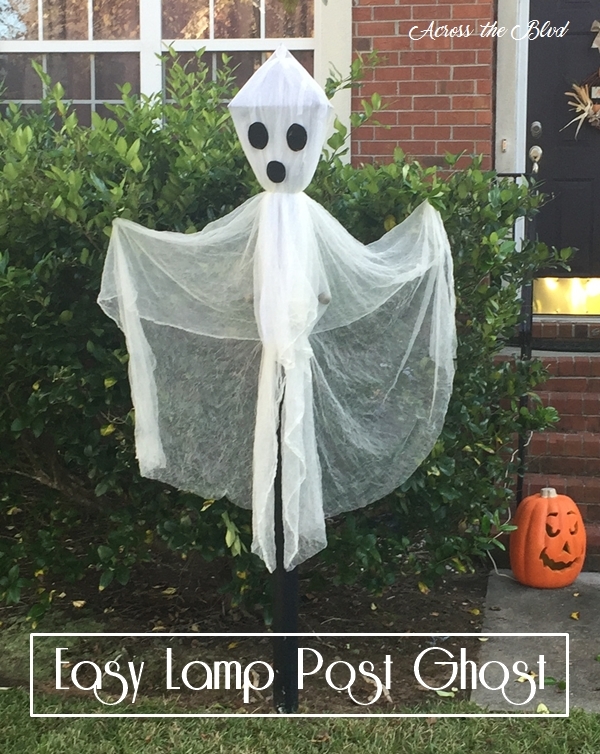 This easy lamp post ghost for Halloween was a fun way to do that. I'm not really big on gore and blood. I like eerie and I like fun. I decided to go with fun for this lawn decor. It could not have been much easier to put together! If . . .